With Tuesdays long-established and rather celebrated in Dubai as being Ladies Night, La Ville Hotel & Suites CITY WALK Dubai is stirring it up with the introduction of a GENTS NIGHT. 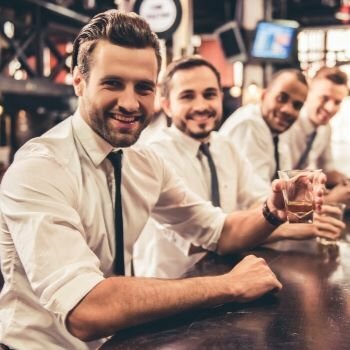 Every Tuesday as of 26th September, gents will have an option of where to go and what to do, and can enjoy an evening of beverages, bites and banter at Grapeskin, Dubai’s finest grape bar and kitchen in the heart of the city. Between 8 – 11pm, guests will be offered 2 glasses of grape or hops as well as a tasty charcuterie platter compliments of the chef. Beverages will thereafter be charged at AED 25. Grapeskin is one of the few specialised grape bars in Dubai, fully stocked with huge variety handpicked from around the world. Director of Beverages and well-respected drinks expert Juan Van Huyssteen invites guests to take a journey through some of the finest vineyards that there are, all within the comforts of a buzzing social hangout with inviting laid back vibes. A bright open space, complete with a funky industrial feel and spacious outdoor terrace, Grapeskin is nestled within a serene courtyard in the centre of La Ville Hotel & Suites CITY WALK Dubai – a 5-star boutique hotel that has become one of Dubai’s swankiest urban destinations since opening earlier in the year.